It was an honour to attend the reopening of the new look George street quarters and what a tantalizing experience it was. This newly fitted out space comes with a wealth of history and the facade reveals it. From it’s humble origins as a Workers Cottages for the Port, established between 1890-1910. To a scale shop where Bon Scott (ACDC) did his apprenticeship. The area evolved into a meeting area between dock workers, industrial labourers and residents. 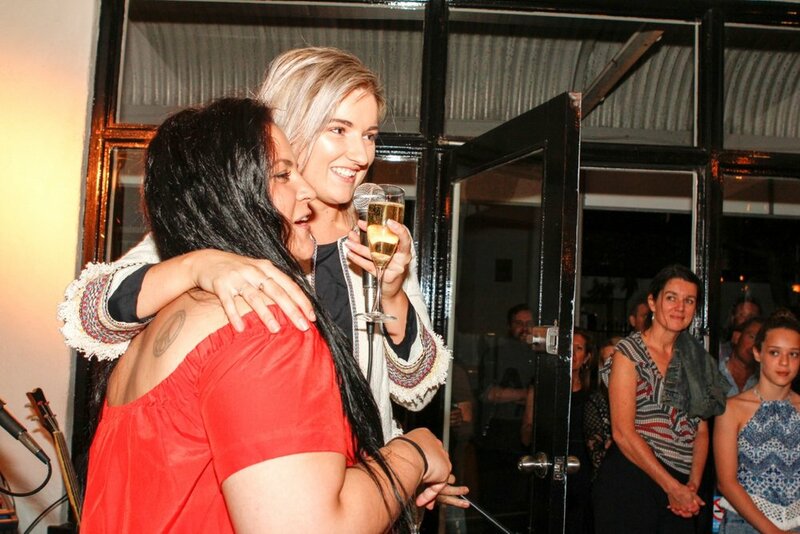 People from all walks of life that came together to socialise. This is where the concept for the restaurant stems from. It combines a working class industrial feel and a farming aesthetic. Focusing on a strong community-based approach to service, local products and community projects. It is the epitome of Fremantle. A beautiful collision of cultures giving it the special, quirky vibe it has today. The refurb has stayed loyal to its roots by having locals input as a part of the project. It keeps its humble homely essence with an industrial twist. The protruding beams and original facade blend the old and new. Keeping true to the architecture's origins. They have opened up the space and created a fresh modern approach at the same time. The new menu portrays this infusion of cultures. A spread of Black Duck and Shiitake spring rolls; Squid Ink & porcini Linguini; Maple & Pimento Lamb rack with Moroccan spiced rice. All these cuisines with their own distinct origins come together, to work in harmony, both on the table and in the mouth. The lunch menu is of equal diversity and the kicker is they will serve up all day breakfast. So how do you like them Homemade pancakes with Butterscotch, bacon and caramelized bananas? The George street merchant is next door meaning the local produce and products used on their menu are also available to the public. Which is pretty awesome! 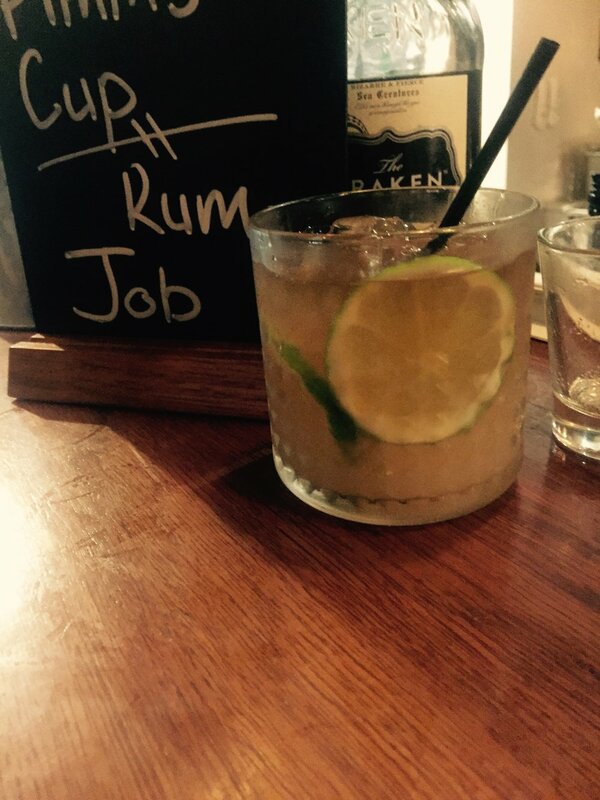 If you are feeling a little cheeky you gotta try their "rum job". A beautiful blend of Kraken rum, homemade ginger and chilli syrup with a spruce of fresh lime and soda water. A job well done! The menu is well suited to the new kit out at George street. It is somewhat refined but nowhere near pretentious. It feels like a place where a diverse mix of people can come, settle in and enjoy the atmosphere. 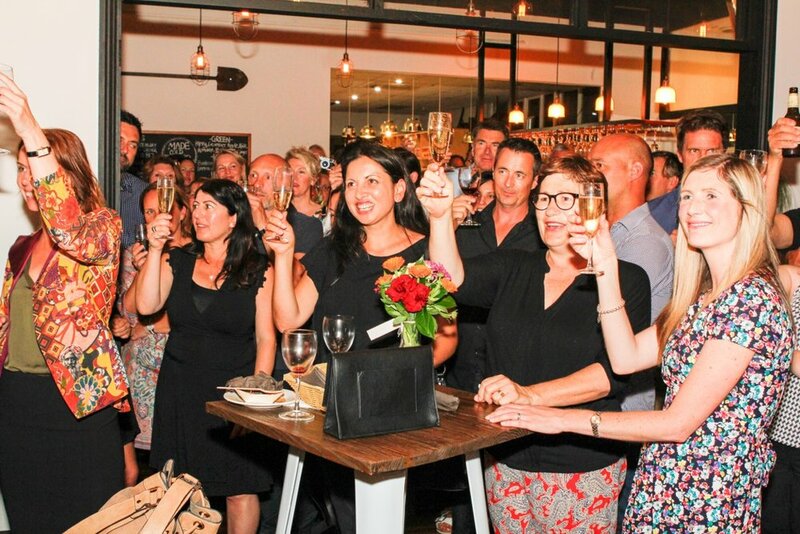 Do yourself a favour and head down to 71-75 George St, East Fremantle WA 6158 and embrace the old and the new.